With The Bahamas riding on great regional statistics which place it amongst the top destinations for 2018, one Bahamian boutique resort is stepping up to promote not only itself, but its island as a whole. Eva’s Bonefish Lodge in Staniard Creek, Andros is raising the bar as a tourism destination by encouraging visitors to stay there and in addition, take advantage of as much indigenous experiences offered by the natives as possible. This creates a win-win situation in which lodge guests get to experience the vast beauty of Andros, taste local cuisine and visit various settlements, supporting local vendors along the way – all increasing the chances of them returning to the island. This makes Eva’s an even more interesting destination in the world of angling. Fishermen have the opportunity to get an experience that cannot be recreated anywhere else in the world. In order to make this happen, Eva’s has invested in a brand new website promoting itself and other Androsian businesses. Jason Edgecombe, Eva’s VP, is now making a clarion call for resorts throughout The Bahamas to adopt this same principle, eventually improving the country’s overall tourism product. “Local vendors are important because they are a part of the community,” Edgecombe said. EvasBonefishLodge.com encourages visitors to “Come live the Bahama life and experience a true fisherman’s paradise!” and to “Realise the true beauty and culture of The Bahamas, Andros Island and Eva’s Bonefish Lodge where our guests are cared for, catered to, and treated like our Bahamian family.” Highlights include information about the 3-bedroom cabana sitting on 12 miles of beach offering an all inclusive stay, a page dedicated to Andros and its many unique natural features, and an activities page. The activities page currently highlights nine enjoyable things to do including scuba diving, bird watching, deep sea fishing, and local shopping. Plans are to continue to add more activities as local vendors contact Eva’s to become a part. 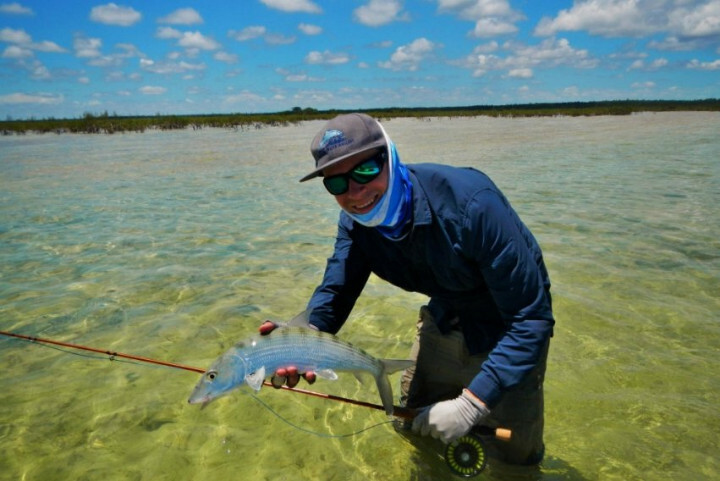 The Orvis- backed lodge’s website shows many happy anglers whose experiences range from fishing on the boat to casting a line while wading in Andros’ shallow creeks, teeming with fish. The site also features an online shop offering an exclusive line of Patagonia brand fishing gear. 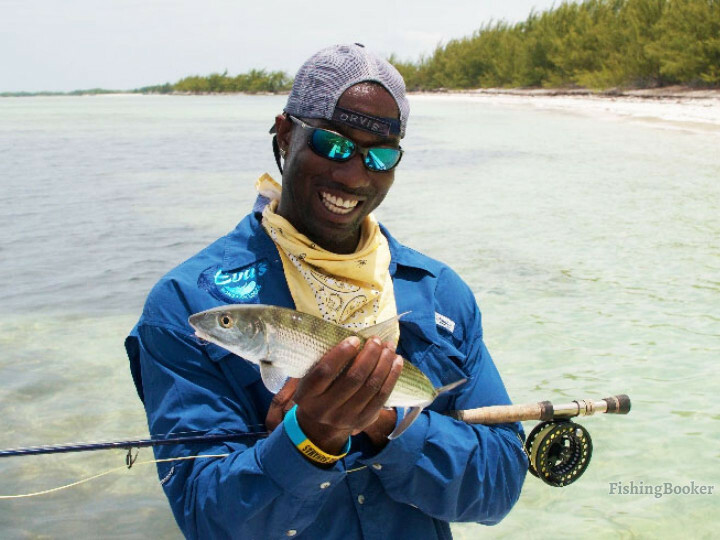 Edgecombe visits several fishing conferences throughout the Unites States each year, promoting Eva’s Lodge as well as The Bahamas as a country with endless opportunities to experience something different on each visit to another Bahamian Island. 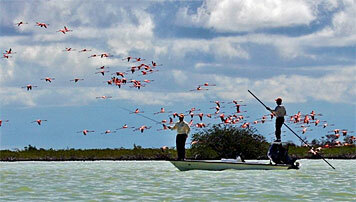 He is particularly fond of his hometown in Andros, which he feels offers some of the best fishing grounds in the world. What makes Eva’s unique, he said, is that it is 100 per cent Bahamian owned and operated and is nestled in an eco-touristic paradise. Frank Reyes, Marketing Manager, said online marketing efforts allow them to “highlight and promote the positive aspects of the island while still maintaining the integrity of the local environment with a ‘leave it better than you found it’ approach and mindset”. “In turn, it’s mutually benefiting all parties involved,” he added. Expect to see links to local chartering airline companies on the site soon. Andros is a less than 15-minute plane ride from Nassau, and about 55 minutes’ flight from South Florida. The island boasts of 2,300 square miles of deserted beaches and freshwater lakes, home for countless species of wildlife and marine life.